The Tour De Zack has been split into 7 stages. See the MAP. 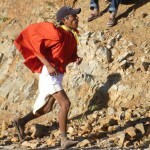 To find out where Zack is at the moment, you can check the ZackTracker and the latest entries of The Great Blog of Zack. 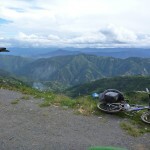 If you are joining us late and want to catch up, Zack will be compiling photos and links to blog entries as he completes each stage, which you can find by clicking on the links below. 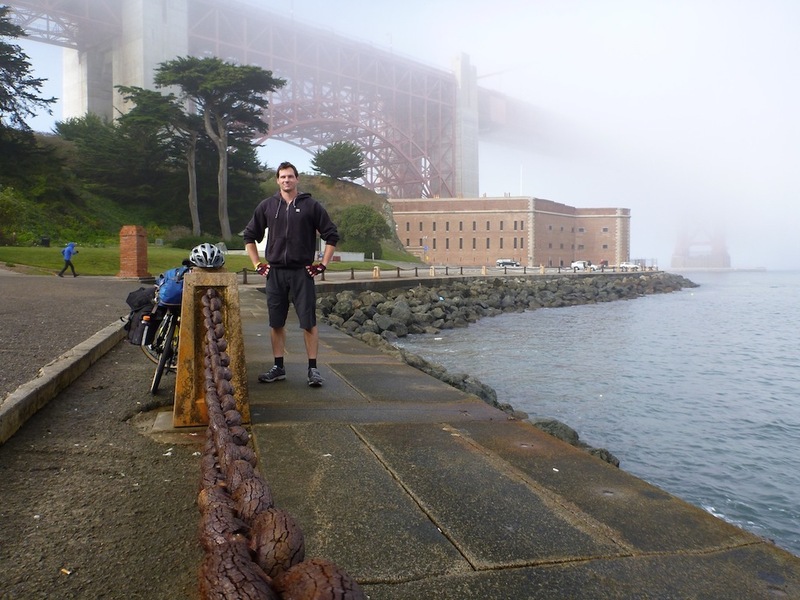 On the 14th of December, 2011, Zack and his trusty bike Tony set out on the Tour De Zack, a cycling trip from San Francisco to South America via over 12,000 kilometers, ten countries, and two continents. 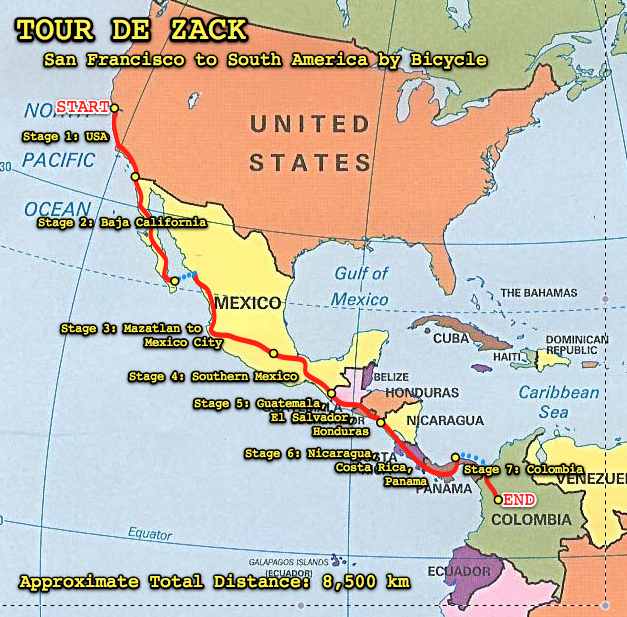 The Tour De Zack will end somewhere in Colombia, the first country of South America, and Zack expects to arrive there when he gets there. There is no schedule, no self-imposed deadline, and there is certainly no rush. This tour could take months, or it could take years. So make yourself another cup of coffee and get comfortable, because we are in for a long ride! It is also possible that this tour will be abruptly interrupted for reasons known or unknown. For example, Zack may have to help a nice man sail his boat across the Pacific in April 2012, or Zack may have to appear on the TV show The Amazing Race in May, or Zack might need to play the young Harrison Ford in the man’s next movie. You never know with Zack. One thing that we do know: Tony and Zack are going to make a great team. One is a well-oiled, finely honed cycling machine and the other is a pretty decent bicycle. UPDATE: On the 7th of June, 2012 (whilst Zack was lounging in a hammock in Puerto Escondido, Oaxaca, Mexico) Zack received an email from the Australian Government informing him that he had been granted Permanent Residency. This was fantastic news, but there was one condition: To accept his permanent residency he would have to enter the country before the 4th of April 2013. Though far in the future, this date was a deadline and would force Zack to make some sort of “plan”. Zack discusses this at the end of Stage 4. 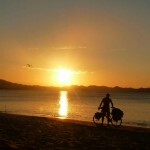 1770 km, San Diego to La Paz along the Baja California Peninsula, lots of desert. 2,500 km La Paz to Mexico City via Los Mochis, Mazatlan, Guadalajara, Guanajuato, San Miguel de Allende, and Queretaro. Route passed through Puebla, Oaxaca, Chiapas, Tabasco, Campeche, Quintana Roo and Yucatan. Zack and Tony have been helped by many, many people along the way. This list is a small tribute to their awesomeness. 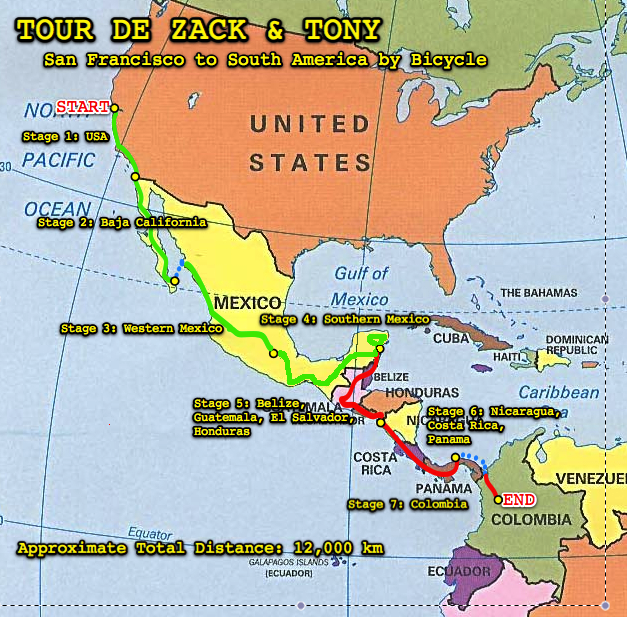 Tour de Zack: Stage 3: Western Mexico AKA Operation: Tequila! Tequila! Tour de Zack: Stage 4: Southern Mexico AKA Operation: Glorious Ruination!!! 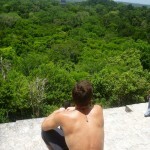 Tour de Zack: Stage 5: Belize, Guatemala, El Salvador & Honduras AKA Operation: Jungle Boogie! Tour de Zack: Stage 6: Nicaragua, Costa Rica, and Panama AKA Operation: Enduring Freedom!